How often do you give potential first-time buyers a buy-versus-rent comparison as part of your client solicitation strategy? Use first tuesday’s Buy Versus Rent Comparison Analysis as part of a successful FARMing campaign to show first-time buyers how ownership under your guidance creates savings and equity buildup that renting does not. Show first-time buyers the money! Market got you down? Don’t just passively wait for referrals or walk-ins these days — find buyer-clients by FARMing tenants and converting them into first-time homebuyers. Many tenants have never considered buying, assuming homeownership is financially unfeasible. These negative assumptions are built on ignorance about the economy of ownership and the financing they qualify to borrow. 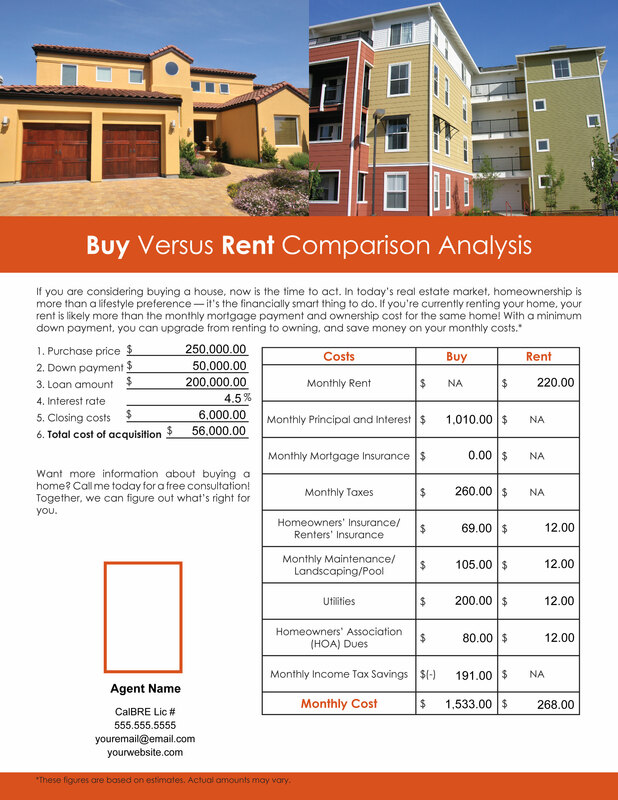 Preparing a Buy Versus Rent Comparison Analysis for review with potential first-time homebuyers gives a picture of the approximate monthly costs of homeownership. Comparing today’s home prices, interest rates and utilities with the rent and utilities they now pay as tenants, will likely encourage tenants to reconsider homeownership. This analysis will show potential first-time homebuyers how ownership clearly creates savings over renting. As a matter of standard practice up until 1972, the back of an agent’s business cards commonly had a dollar comparison between the monthly rent and monthly ownership expenditures for a typical first-time homebuyer’s low-tier home. 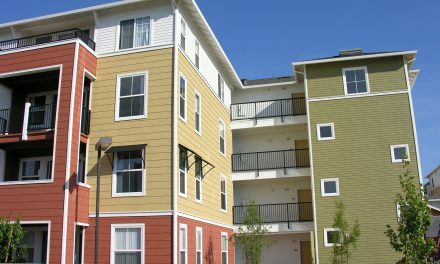 The math demonstrated the savings to be had by buying comparable or better replacement housing instead of continuing to rent. These cards essentially told a tenant: if you are renting instead of owning, you are mathematically challenged. Today’s standard practice of withholding disclosures until in escrow does not include this tactic — but good practice does. Buyer’s agents who make a home expense comparison part of their up-front practice will reap the benefits of happier, better-informed clients — translating into sales and referrals. 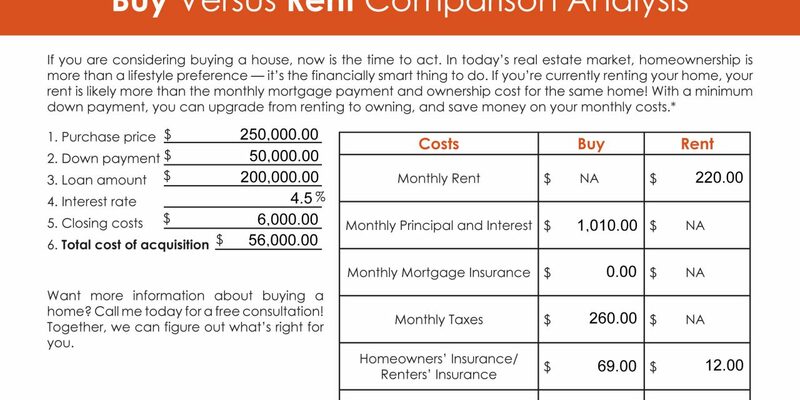 In first tuesday’s Buy Versus Rent Comparison Analysis below, enter the approximate values for the monthly costs associated with the ownership of a suitable property in the left column. In the right column, enter the costs associated with renting a similar property. Sample default numbers are provided, but may be overridden by entering a different amount. Both columns are programmed to calculate and display the total monthly costs incurred in ownership versus renting a comparable property. With the math in-hand, discuss the figures with your client. Show them the cost-savings analysis of buying versus renting and review the conclusions. 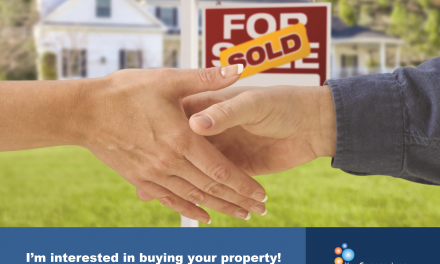 After making the buy versus rent presentation, take your first-time buyers to a lender to exhibit how easy and straightforward it is to get approved for purchase-assist financing. Homeownership is more than a lifestyle preference — it’s the financially smart thing to do. We welcome your comments or suggested improvements to first tuesday’s Buy Versus Rent Comparison Analysis. What other factors are attached with owning and operating a home? Please leave a comment below or email our editorial staff at editorial@firsttuesday.us so we can continue to evolve and supplement the worksheet for our members. PreviousIs a builder’s alternative mediation provision in a residential purchase agreement enforceable? So how is the Monthly Income Tax Savings calculated? And why doesn’t it change when other values are changed? Lucy, see my previous comment about the HOA, in addition I plugged in 5% down and taxes of $500/month (we have higher Mello-Roos fees in some areas up here) and the rent for that house would be $1,650. The buying was still less than renting. I like this form. And there are loans available with no mortgage insurance. Regarding the HOA fees. I just listed a 3 bed, 2 1/2 bath detached home with 2 car garage in a gated community in Roseville, Ca (near Sacramento) for $319k. The HOA fees are only $75. No clubhouse, pool, etc. but it covers front yard maintenance. Mowing, trimming, sprinkler repairs, etc. So it is possible to have low HOA fees. This was, as stated, an example that you’re able to adjust based on your market. 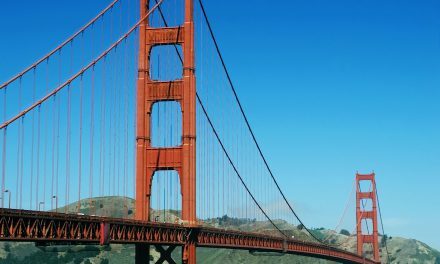 I assume your example above may apply in other states other than California, however, HOA fees at $80 monthly, for one, is not realistic and will lose the argument “owning versus renting”, as will the hefty 20% downpayment, in this financing environment of zero rate of interest paid on savings, we have experienced the past 15 or more years. 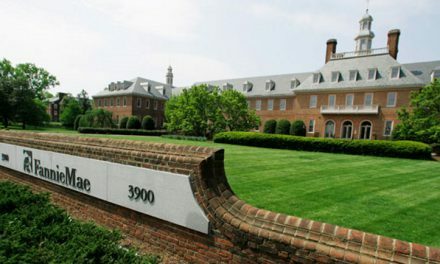 Those people with that amount of down payment, are independently wealthy, or will already have owned, and hopefully, regained some of their lost equity, are ready to retire, and /or moving out to one of those states, where $80 HOA is doable, as is the price of $250,000 buying a livable home.